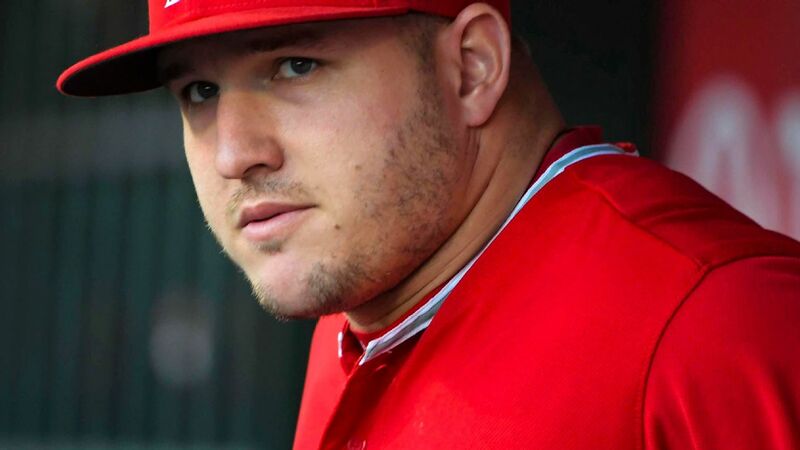 ARLINGTON, Texas -- Mike Trout is easing his way back in the Los Angeles Angels' lineup, returning as the designated hitter and skipping at least one night in center field after missing three games because of a right groin strain. Trout was listed second in the batting order for the Angels' series opener Monday night at Texas. The two-time AL MVP said he expects to be back in center field during this three-game set against the Rangers. After missing a weekend series at the Chicago Cubs, Trout was seen by Dr. Steve Yoon in Los Angeles for the second time in three days Sunday. The team said ultrasound images showed further improvement to his groin and that Trout reported continued improvement. The two-time AL MVP has five home runs this season, all of those coming in a four-game home series April 4-8 against the Rangers. He is hitting .406 and also has 12 RBI in his 12 games.